The development team of this project released the very first version of operating system in 2005, since then it has been under constant development and bug fixes, so far 7 major stable releases have been made available for users and 8th release is on the way. 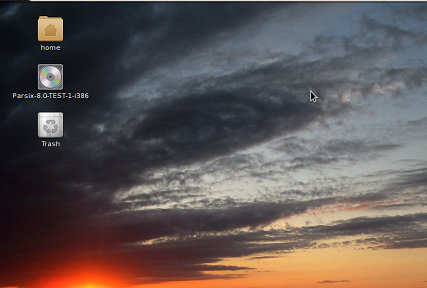 This new testing release is available with GNOME 3.16 desktop environment. It is powered by the latest Linux kernel 4.0, here are some of the applications included in this new release. 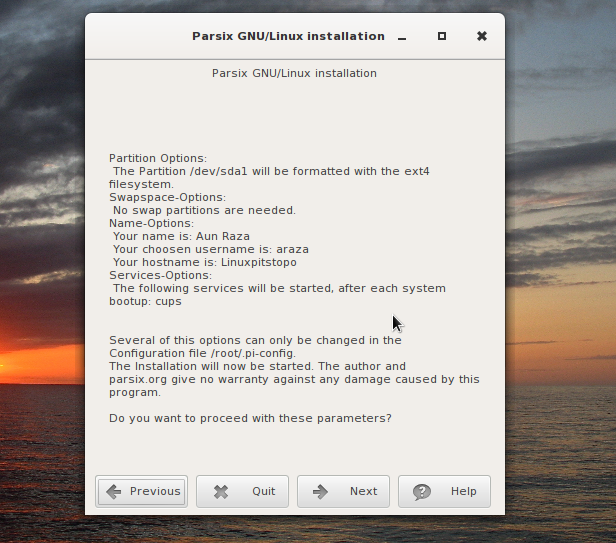 (a) Download Parsix GNU/Linux 8.0 Test 1 and burn it to DVD/USB drive and boot your system using this DVD/USB. 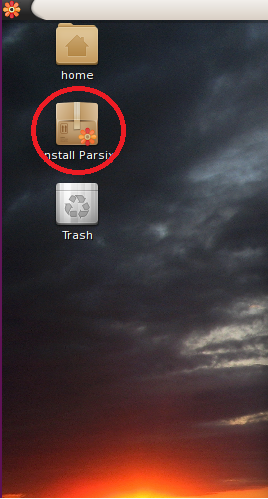 Wait for this OS to boot into Live Desktop, from here click “Install Parsix” option as shown encircled in following screenshot. Choose “New Installation” option from next screen. 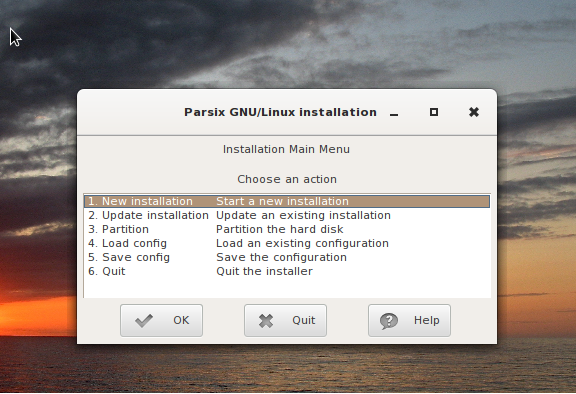 Select the disk on which you want this new operating system to be installed and hit “Next”. 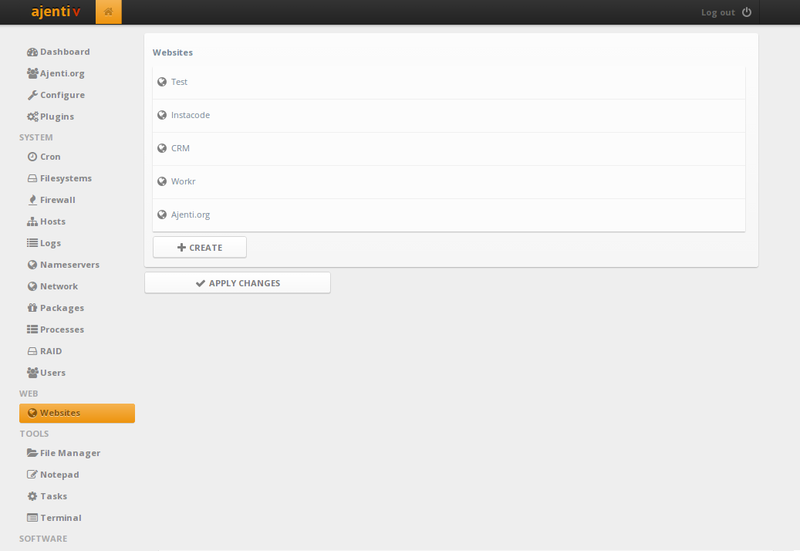 Specify the type of File System you want for your this new OS, default choice “ext4” is good to go here. Click “Next”. Provide your full name here. Input your username on next step. 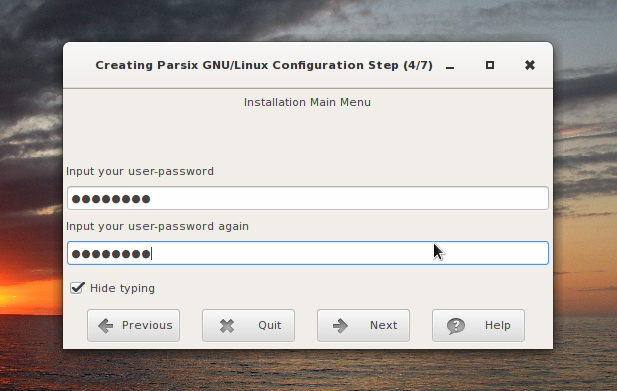 Provide your user-password on this step. Specify the administrator password for your new OS here. Input your system hostname here; Hostnames are used to uniquely identify computers on the network. 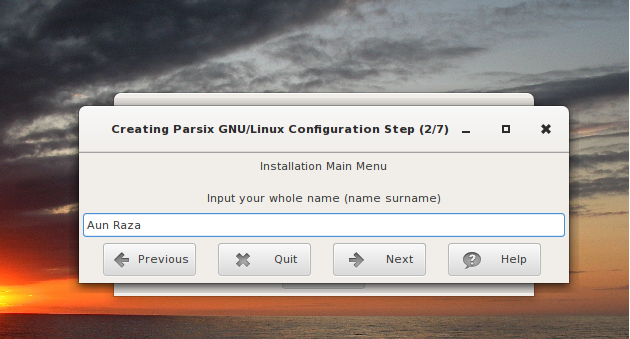 That’s it, It will show your installation summary, click “Next” after reviewing the details. There you go, Operating system installation is in progress. As soon as installation is complete, just reboot your system. 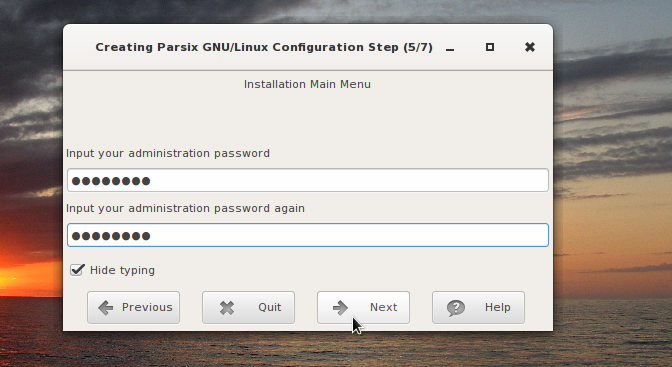 Login with username and password you provided earlier during the installation process. 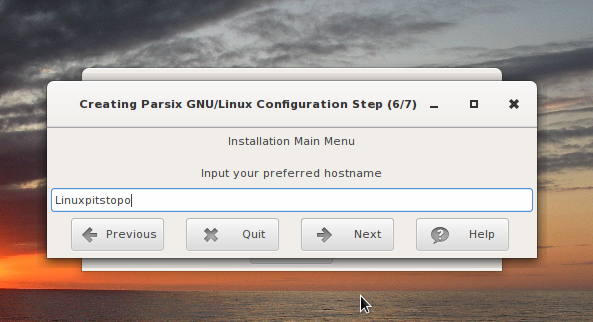 The upcoming Parsix GNU/Linux 8.0 is based on Debian 8 software repositories, it comes bundled with many apps, but if you need to install any additional apps on this operating system, you can use Debian repository packages to complete this task. 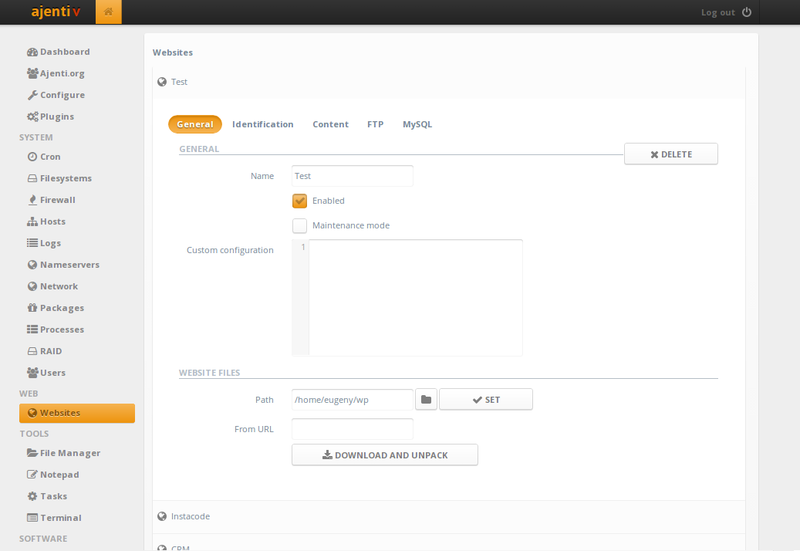 At first impression, this test release looks pretty good and worth a try. The installers for this testing release are available in both 32 and 64 bit architectures.